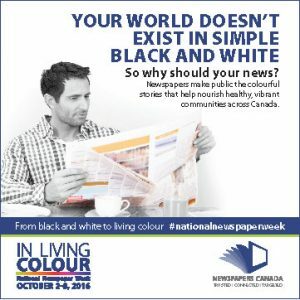 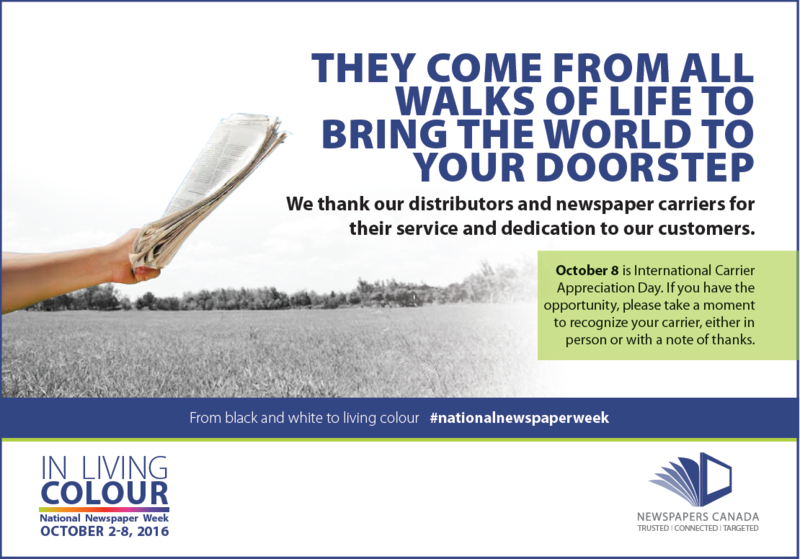 Every year, during the first full week in October, newspapers across North America celebrate National Newspaper Week to acknowledge the men and women who work tirelessly to bring the news to their communities. 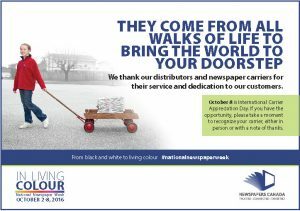 Carrier Appreciation Day is also celebrated on the Saturday of this week to recognize the efforts of newspaper carriers young and old who make a vital contribution to the industry. 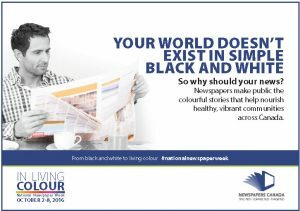 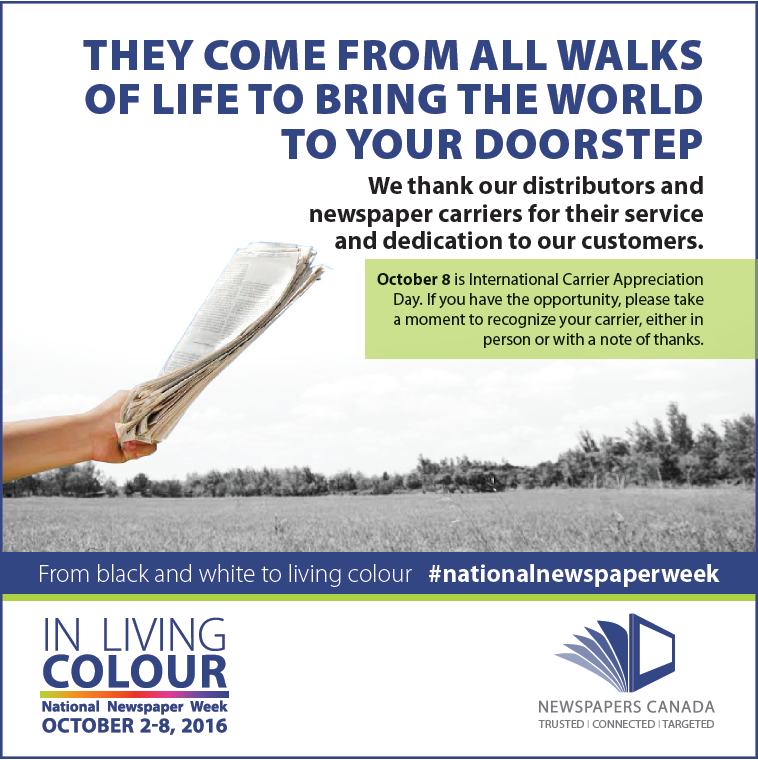 Newspapers Canada is pleased to provide a series of print and digital ads, as well as other resources. 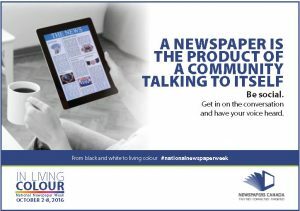 We encourage members to download and publish these materials during this week-long celebration and promote the enduring strength of the newspaper industry. 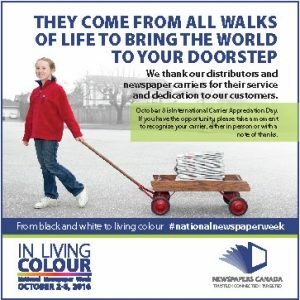 If you have any questions about National Newspaper Week or Carrier Appreciation Day, please contact Tina Ongkeko, Managing Director, Member Services, at tongkeko@newsmediacanada.ca. 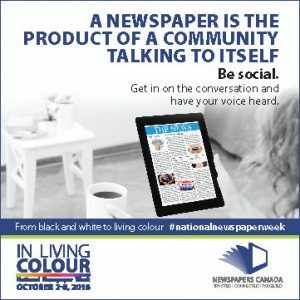 Print Banner - 3" x 10"
Half Page 7" x 10"